Varsity Driving Academy is proud to service the city of Villa Park. We provide everything you need to meet the DMV requirements and pass your written and driving tests! We specialize in behind-the-wheel training for teenagers, adults, and international students. We invite you to take a look around our website and get to know us a bit. Welcome to Varsity Driving Academy Villa Park! In Villa Park we offer free pick-up and drop-off for behind the wheel training sessions. This is so that you don’t have to worry about getting to and from our training sessions. We like to think this helps the learning process by taking that worry away. Our online course is 30 hours, DMV approved, and gives you all the information you need to know to pass your written exam and build a solid foundation upon which to begin your driving lessons. After you complete your online course, you’ll be ready to take your DMV written exam and get your learner’s permit! We also have a classroom option fo students who would prefer a classic setting. Join other students as they learn with you during one of our three summer sessions. Taught by a certified instructor, these sessions fill up fast so sign up today! Congrats – you passed your written exam! Now that you have your learner’s permit, your first step is to have it validated by a DMV certified driver education instructor. You do that by having your first 2-hour driving lesson. Once you complete your first driving lesson, your instructor will validate your learner’s permit. Now you are free to begin your 50 hours of practice driving time with a licensed adult over 25, and complete your 6 hours of driving lessons. 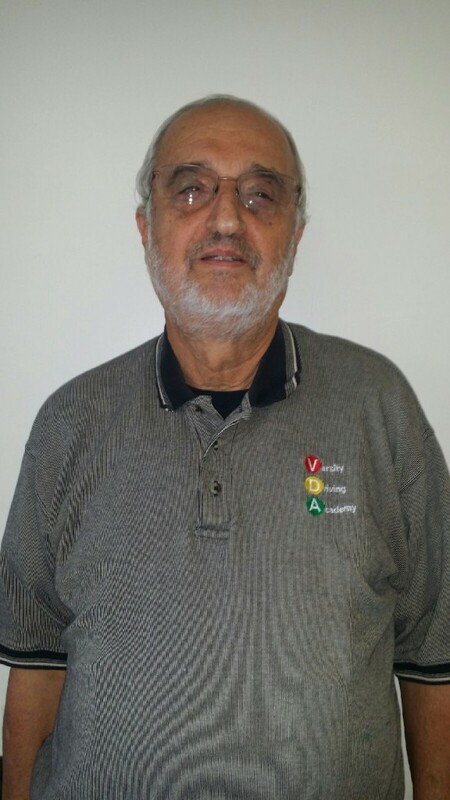 George has been in the driving instructing industry for over 20 years. He has previously held a commercial driver’s license with a passenger endorsement.